The butyrophilins are B7-like T cell co-regulatory molecules. These molecules are of increasing interest in cancer immunotherapy as they may represent a novel subset of immune checkpoint regulators. In this study, we expressed the extracellular domain of recombinant human butyrophilin 1A1 with a C-terminal 6-His tag (BTN1A1) in a NS0 mouse myeloma cell line, and investigated the biological functions of the purified recombinant BTN1A1 protein in vitro. 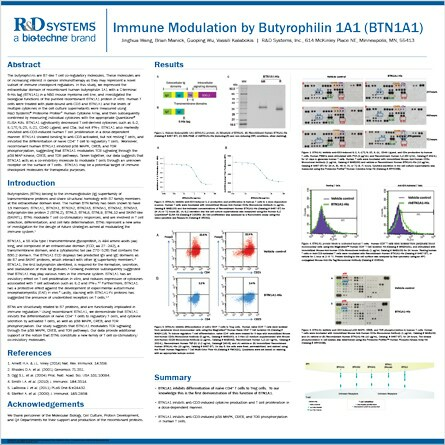 Human T cells were treated with plate-bound anti-CD3 and BTN1A1 and the levels of multiple cytokines in the cell culture supernatants were measured using R&D Systems® Proteome Profiler™ Human Cytokine Array, and then subsequently confirmed by measuring individual cytokines with the appropriate Quantikine® ELISA Kits. BTN1A1 significantly decreased T cell-derived cytokines such as IL-2, IL-17E/IL-25, IL-21, CD40 Ligand, and C5a, but not IFN-gamma. BTN1A1 also markedly inhibited anti-CD3-induced human T cell proliferation in a dose-dependent manner. BTN1A1 showed binding to anti-CD3 activated, but not resting T cells, and inhibited the differentiation of naive CD4+ T cell to regulatory T cells. Moreover, recombinant human BTN1A1 inhibited p38 MAPK, CREB, and TOR phosphorylation, suggesting that BTN1A1 modulates TCR signaling through the p38 MAP kinase, CREB, and TOR pathways. 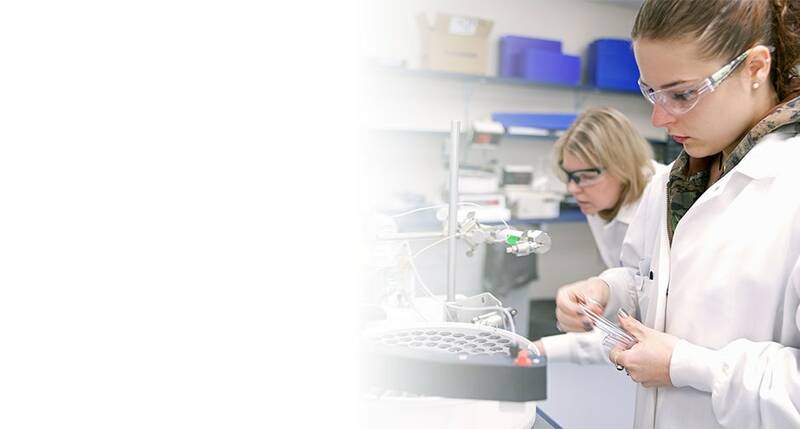 Taken together, our data suggests that BTN1A1 acts as a co-inhibitory molecule to modulate T cells through an unknown receptor on the surface of T cells. BTN1A1 may be a potential target of immune checkpoint molecules for therapeutic purposes.